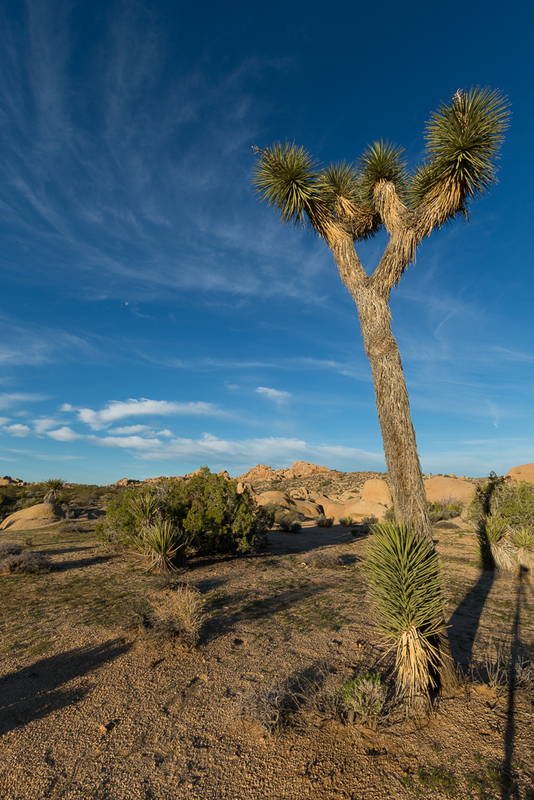 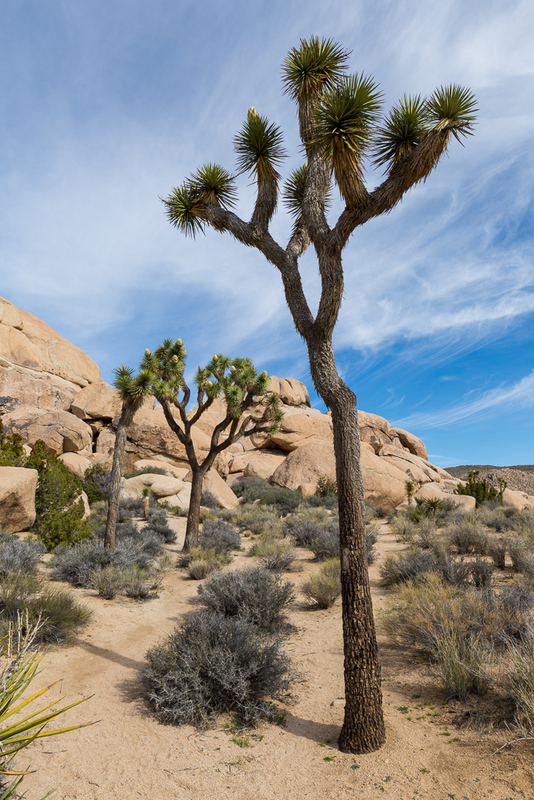 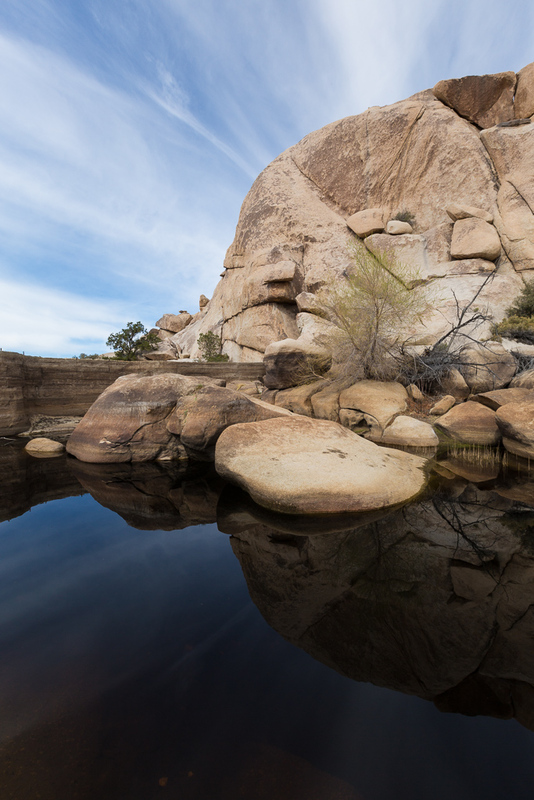 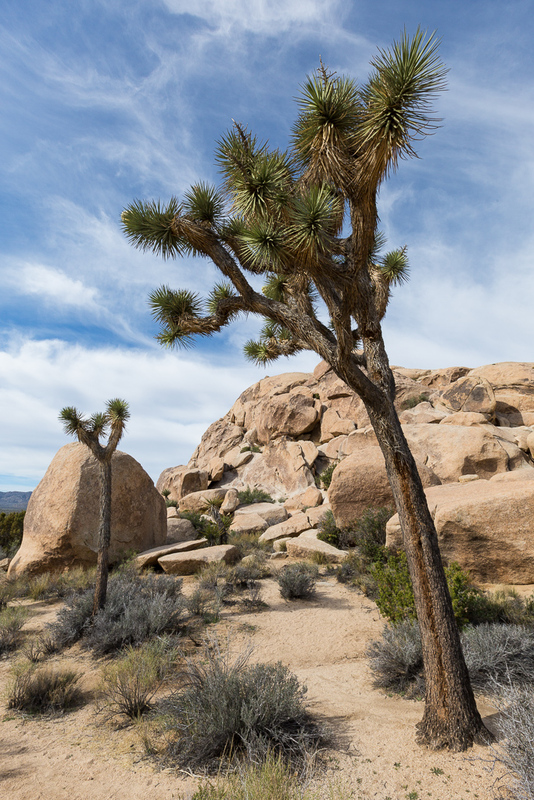 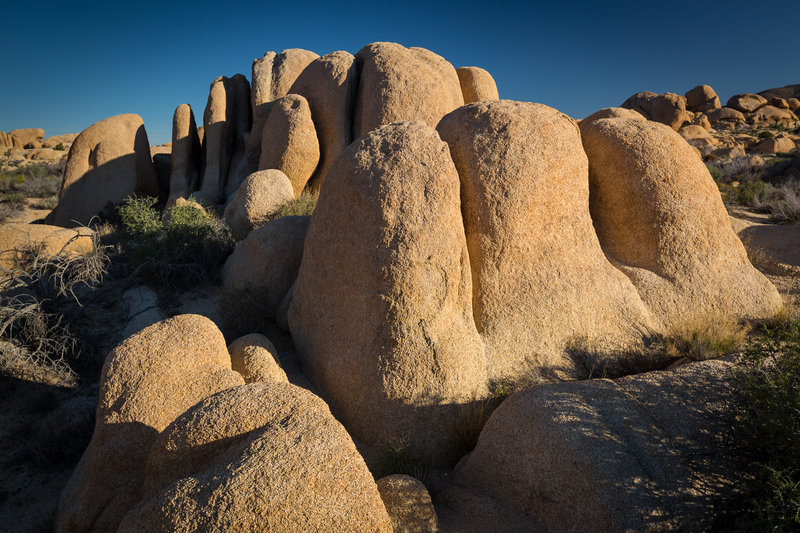 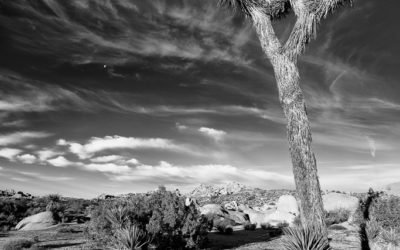 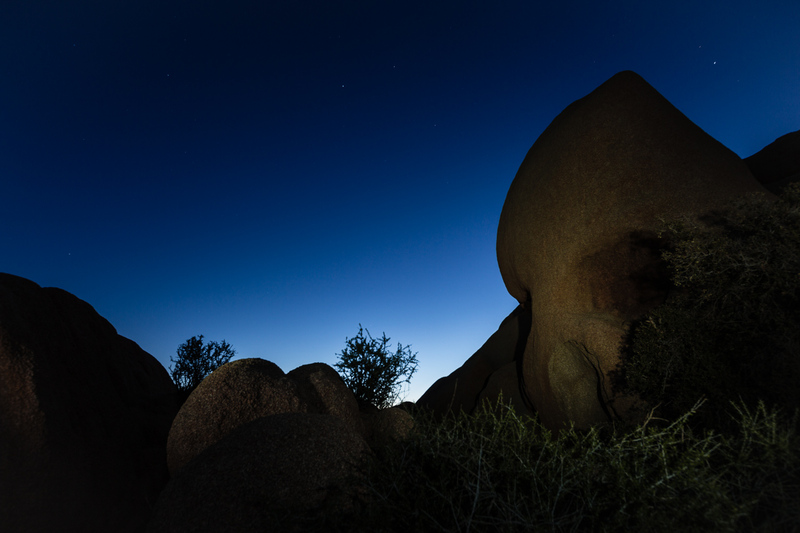 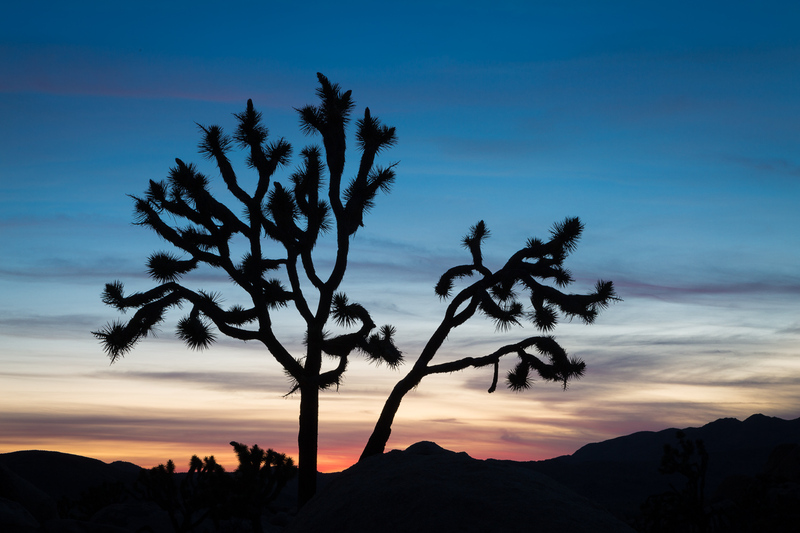 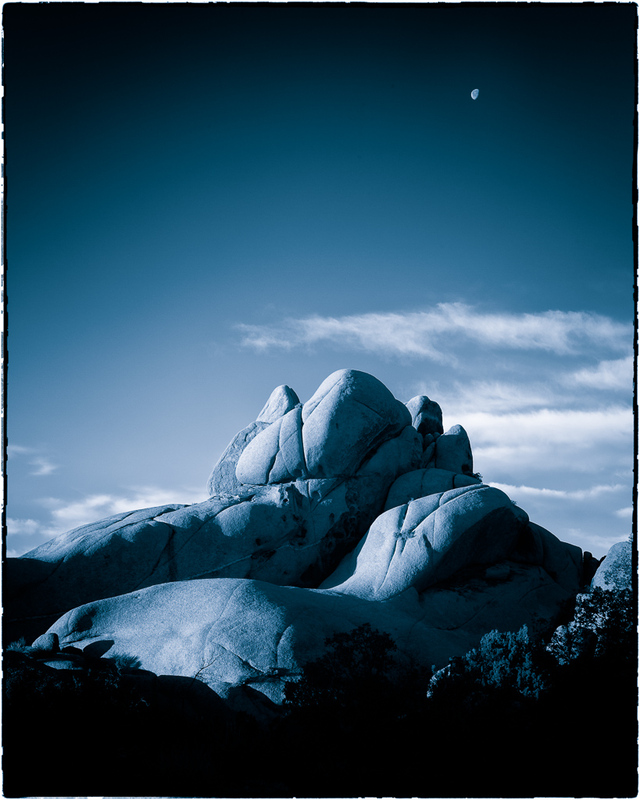 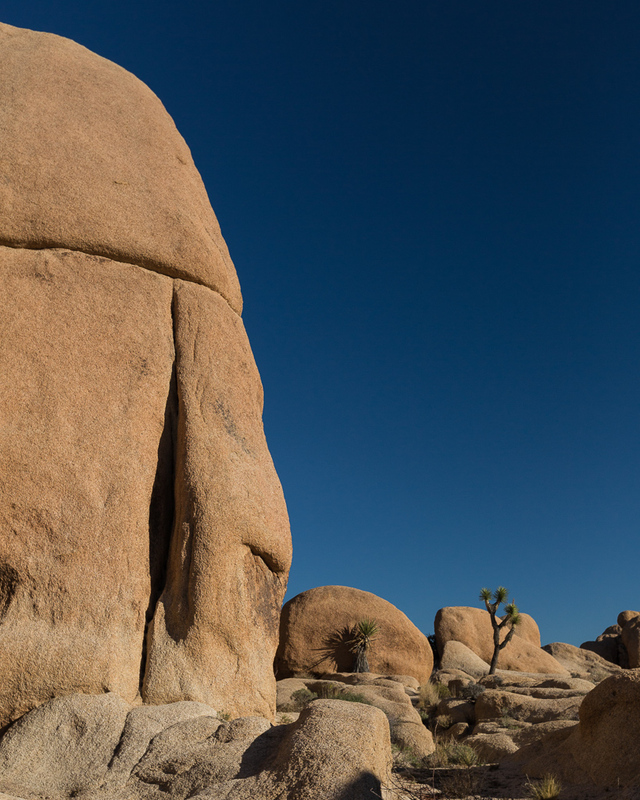 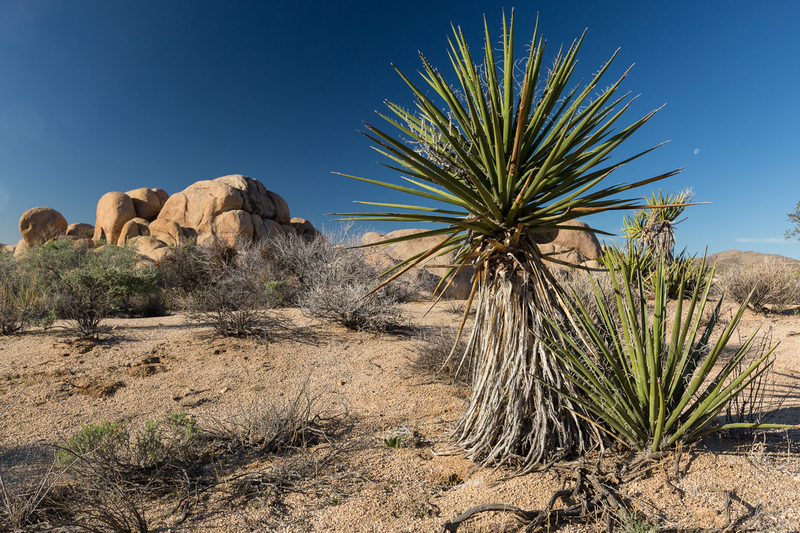 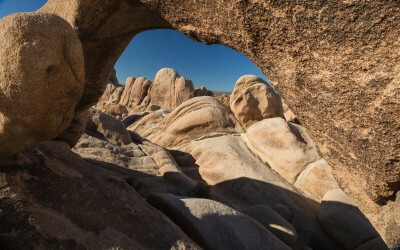 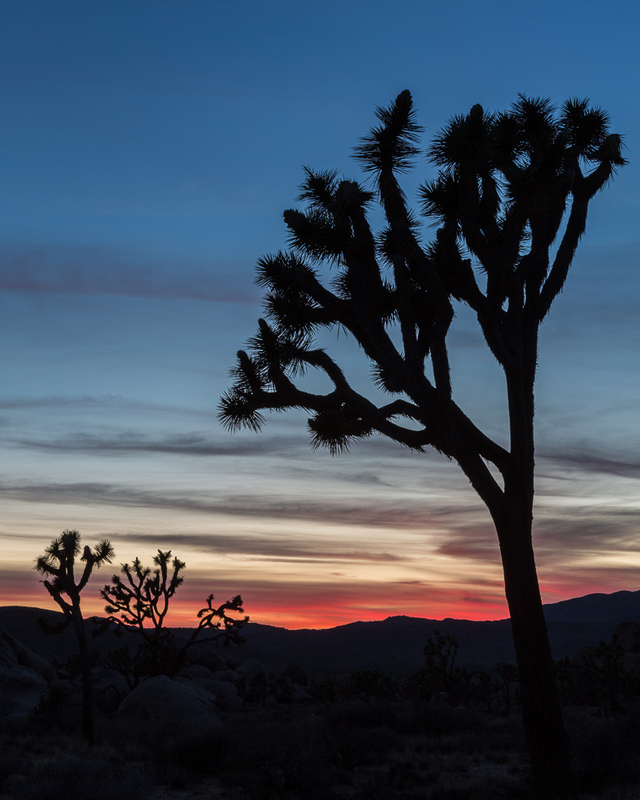 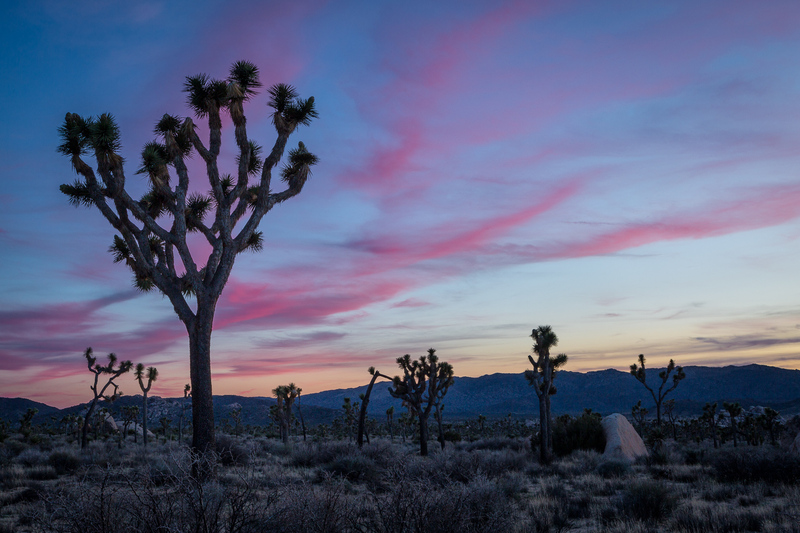 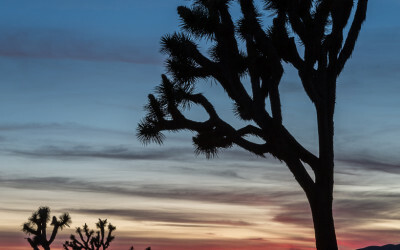 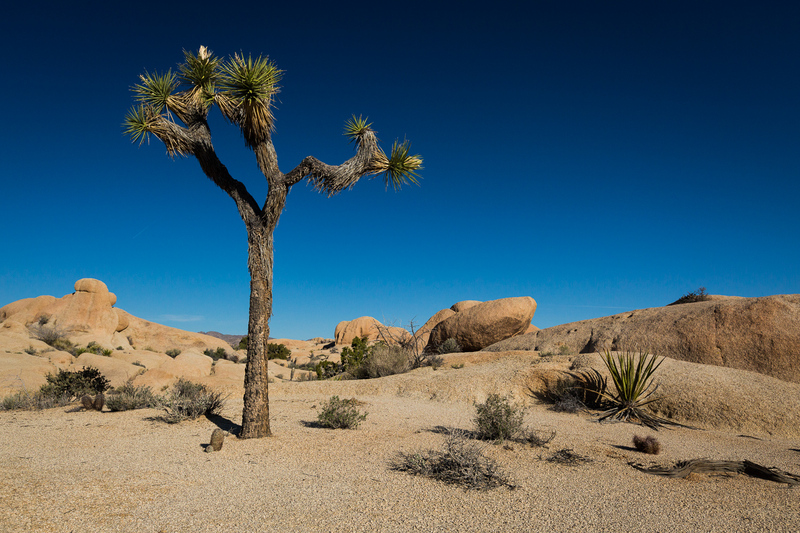 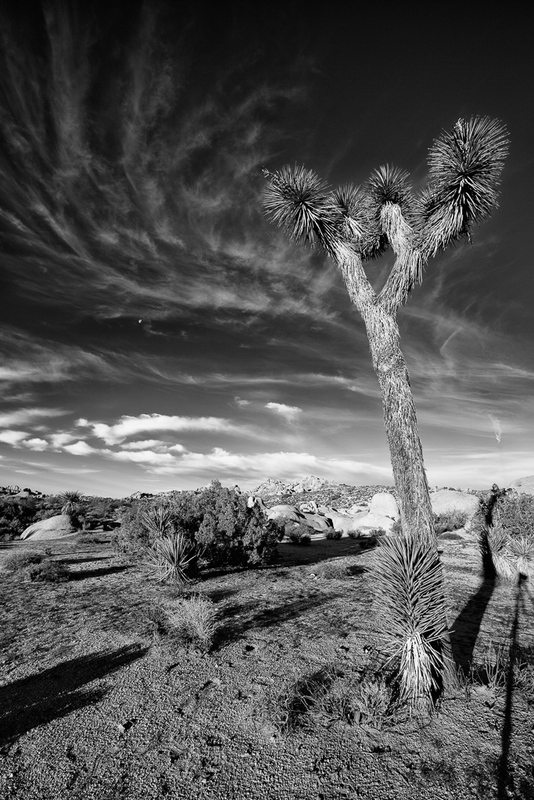 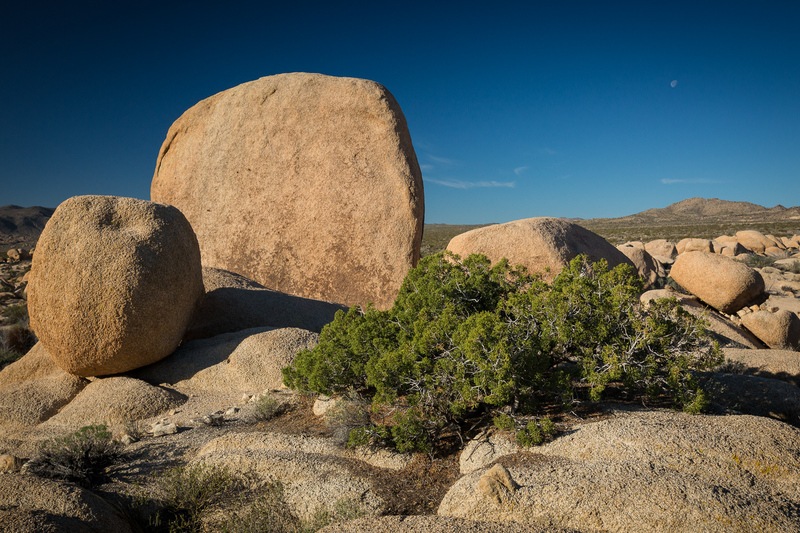 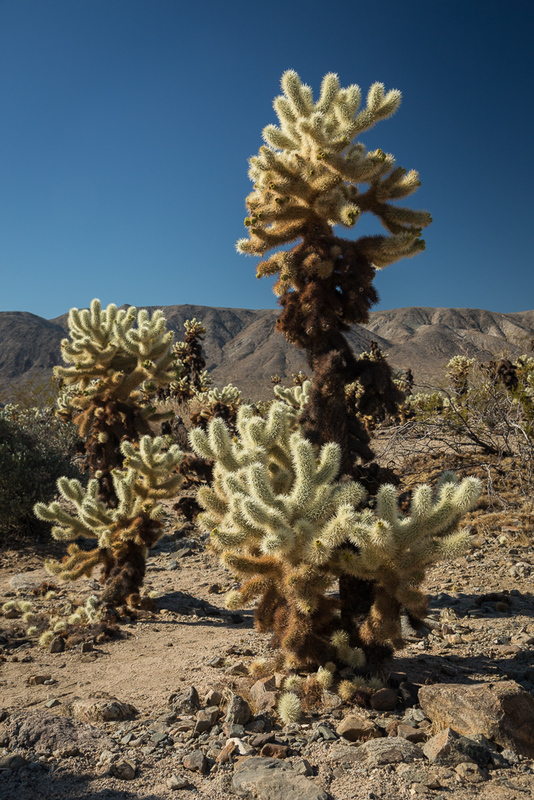 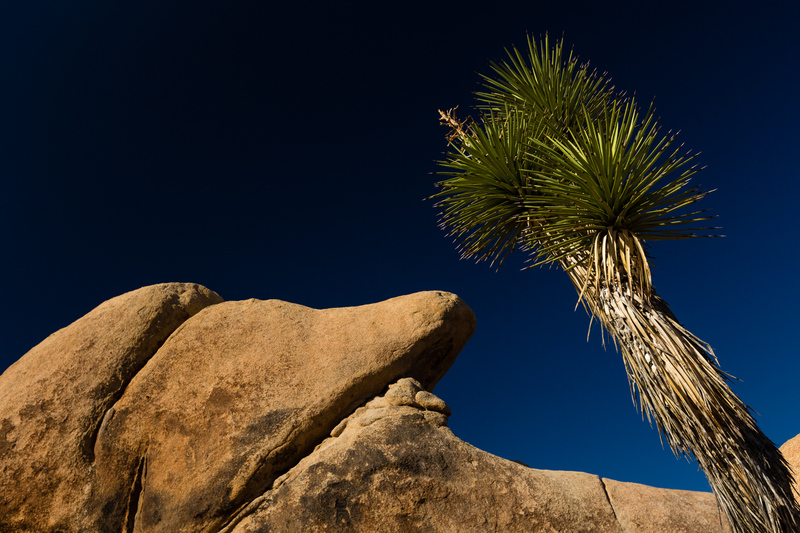 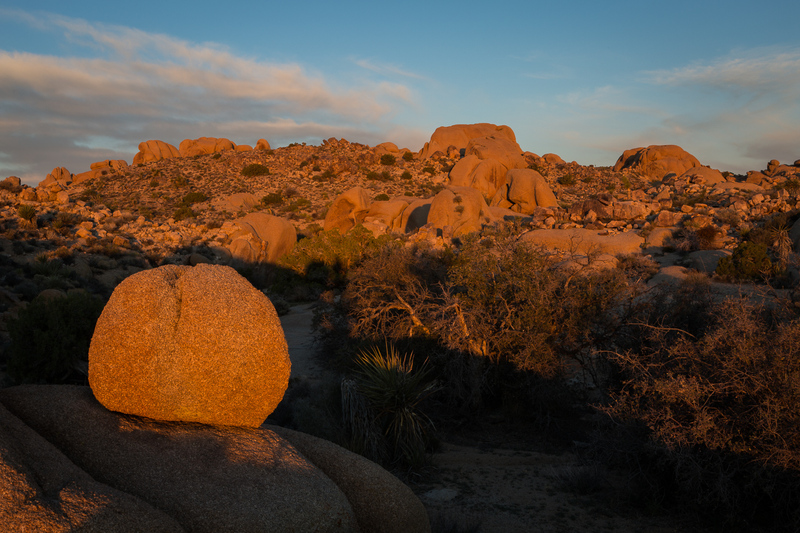 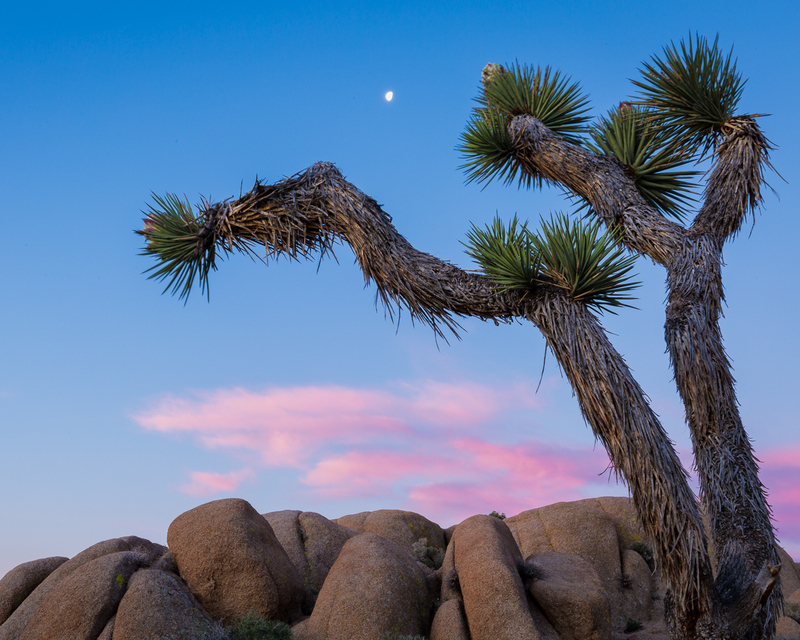 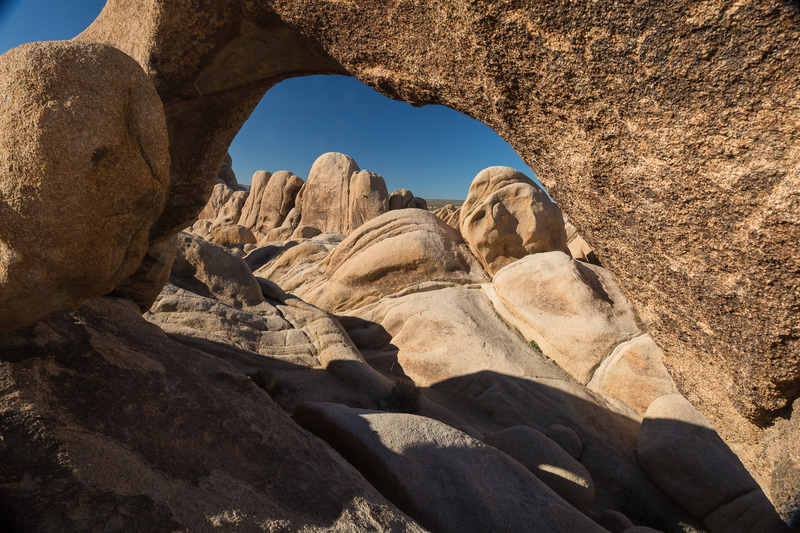 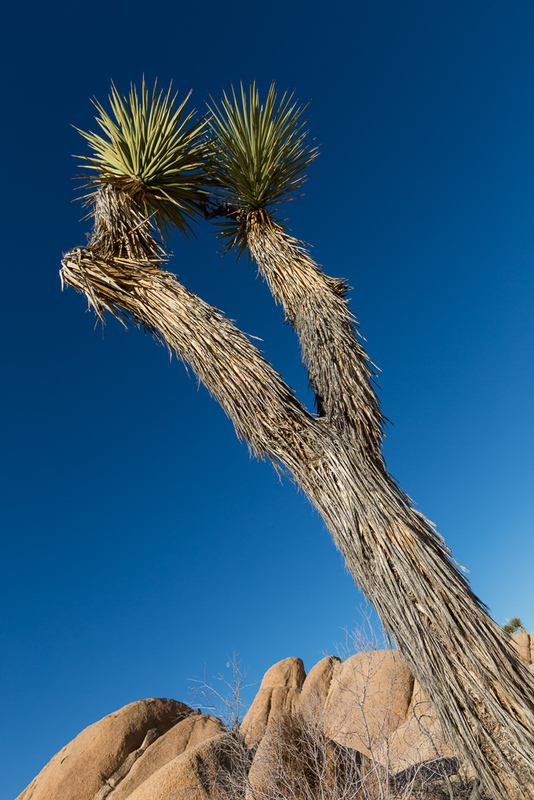 These images were taken on a short weekend road trip to Joshua Tree National Park, California at the end of February 2016. 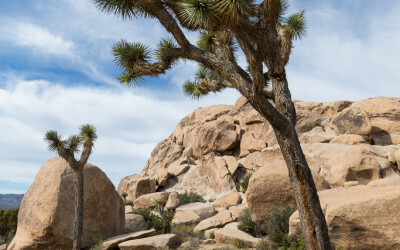 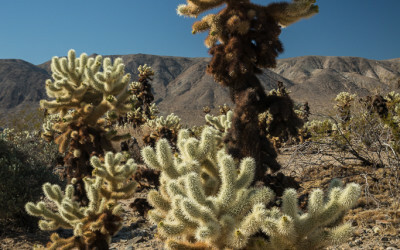 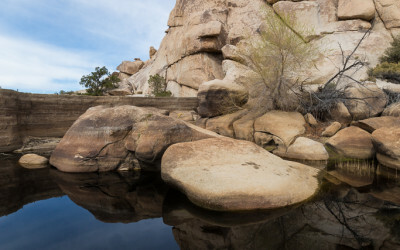 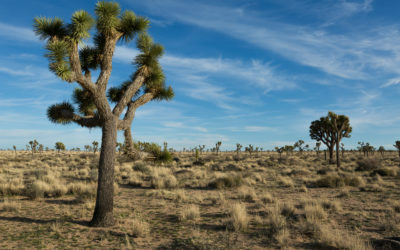 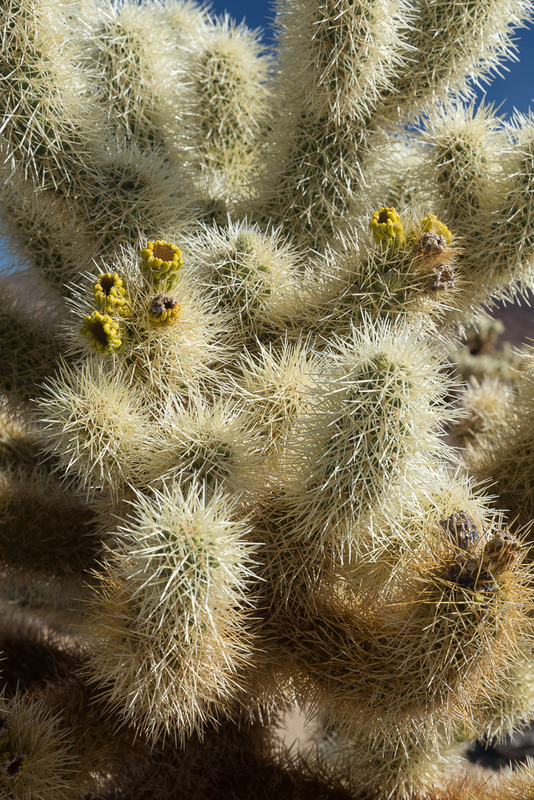 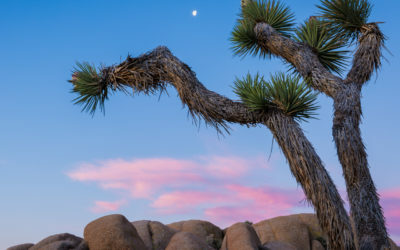 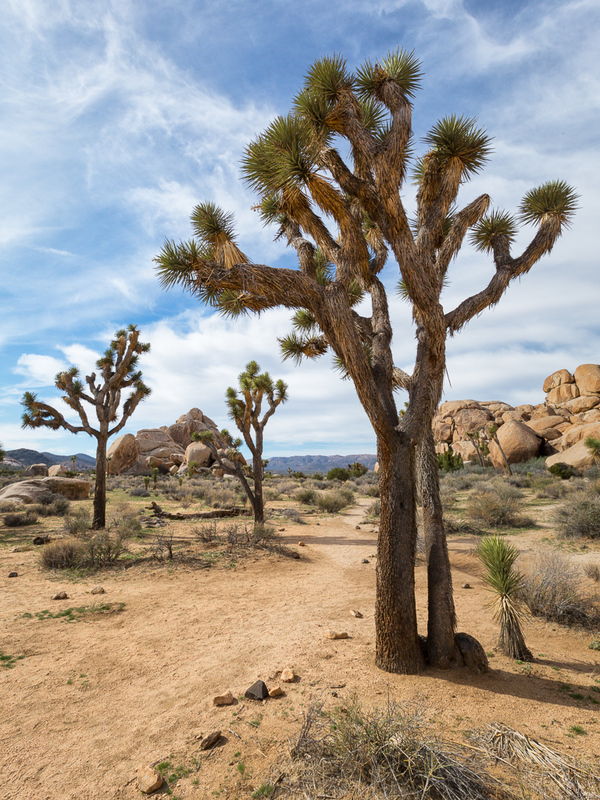 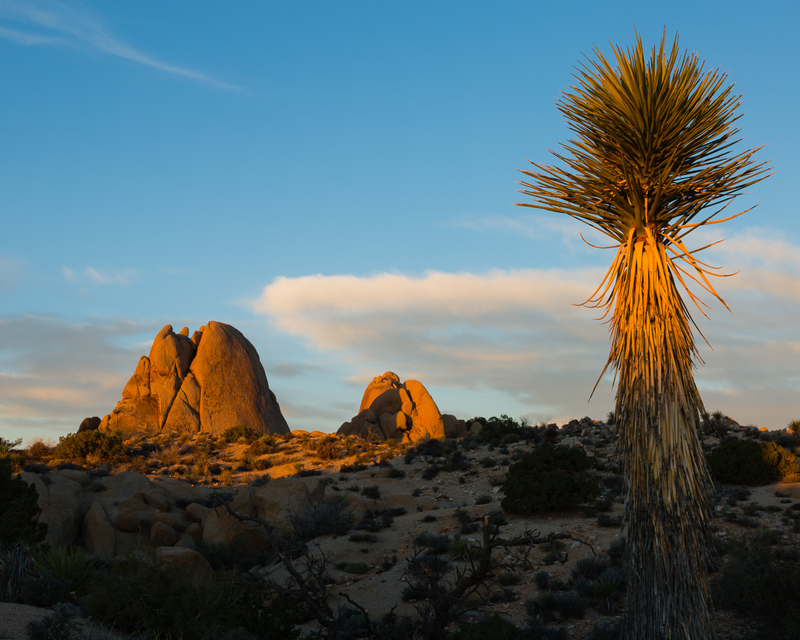 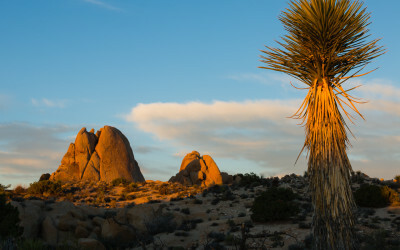 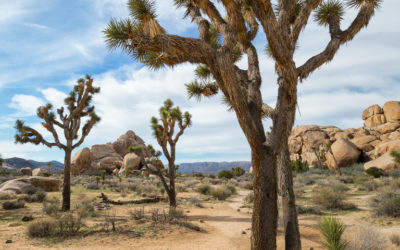 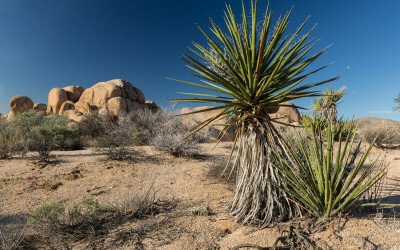 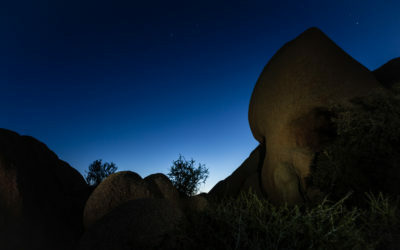 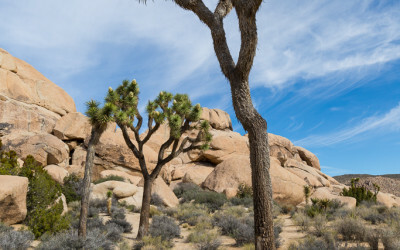 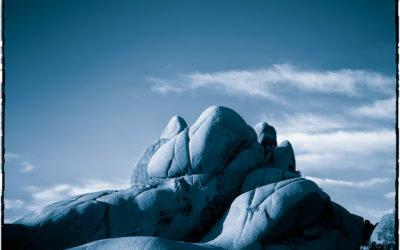 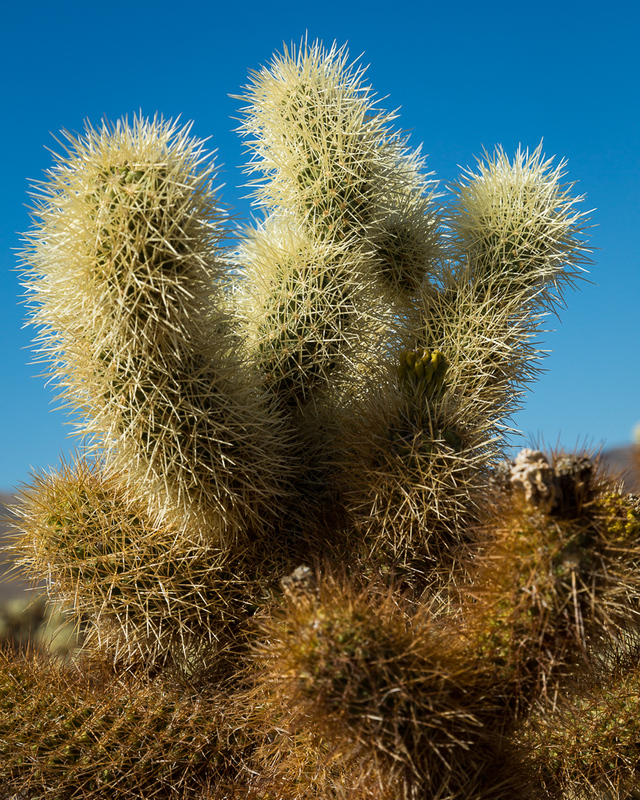 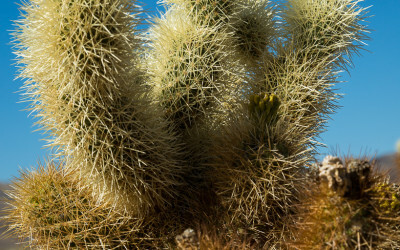 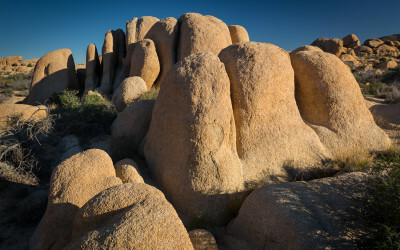 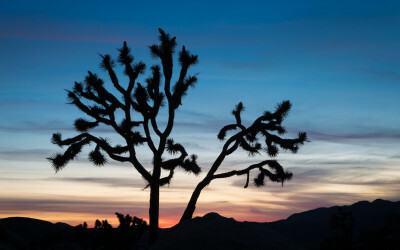 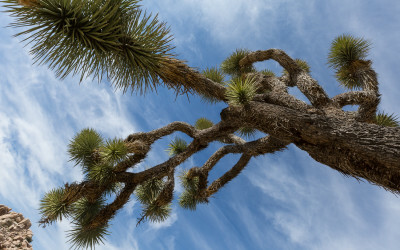 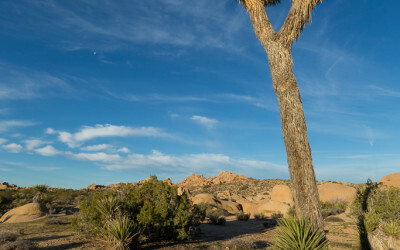 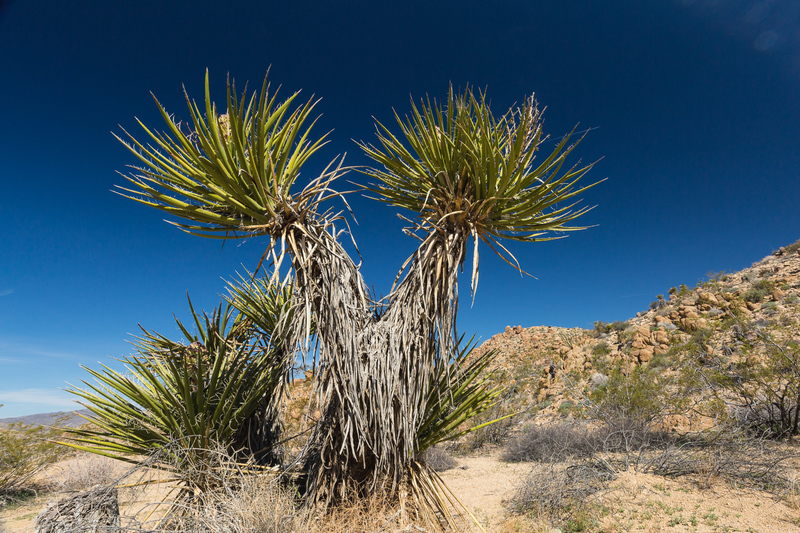 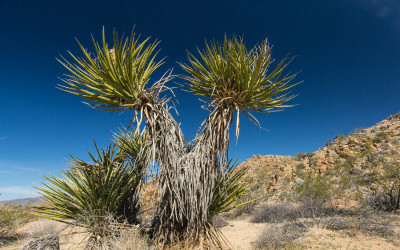 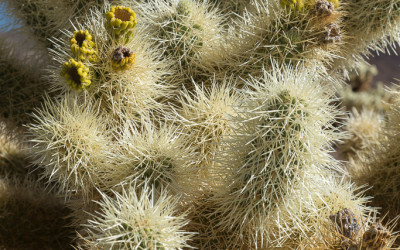 The National Park has two distinct ecosystems, the eastern (part of the Colorado desert) being the lower at < 3,000 ft and the cooler slightly wetter western (part of the Mojave desert) at about 3,000 – 5,000 ft.
An 8 mile round trip hike to Lost Springs Oasis is not recommended in high summer and plenty of water should be taken at whatever time of year the hike is undertaken; there is little or no shade on the trail and the dry desert heat and sharp granite ‘sand’ are relentless. 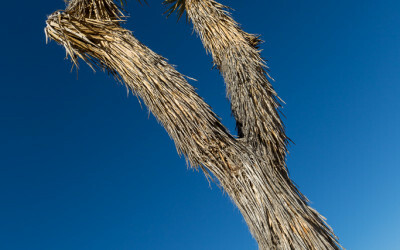 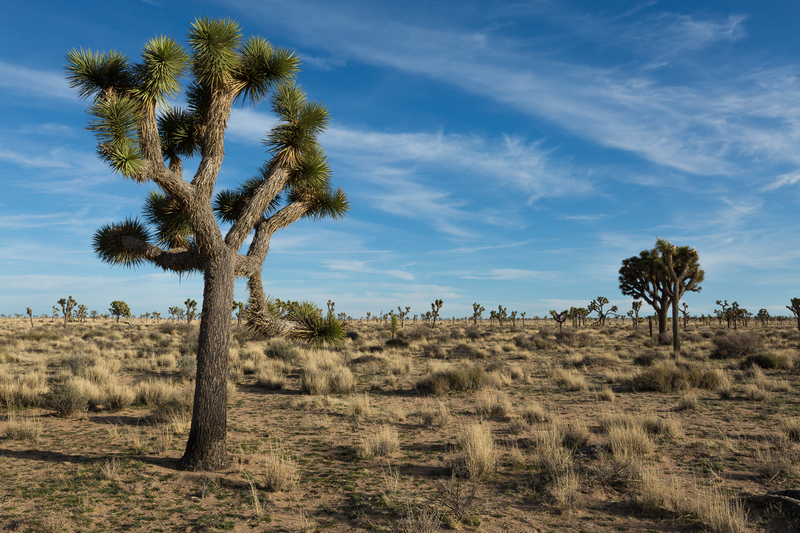 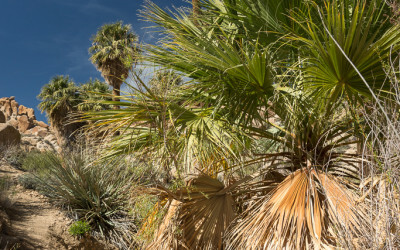 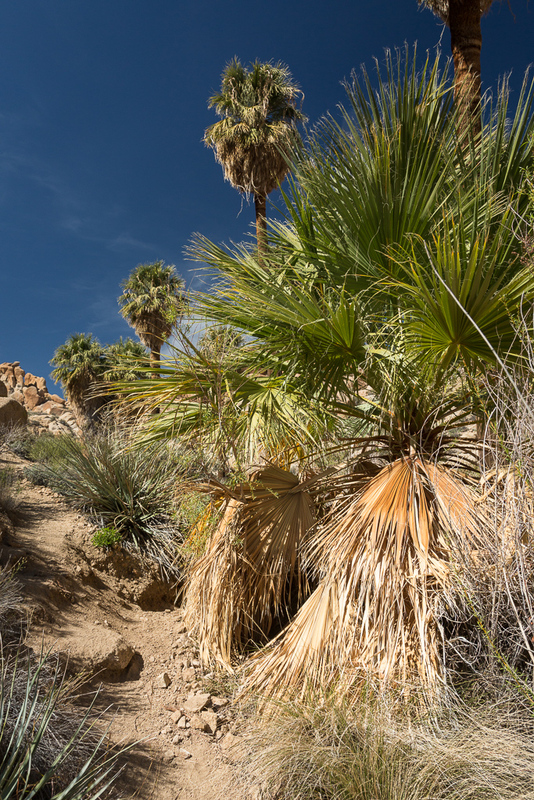 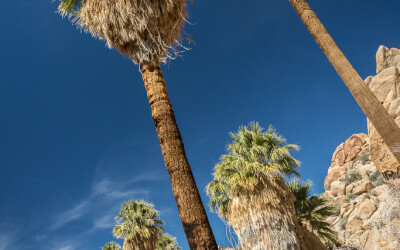 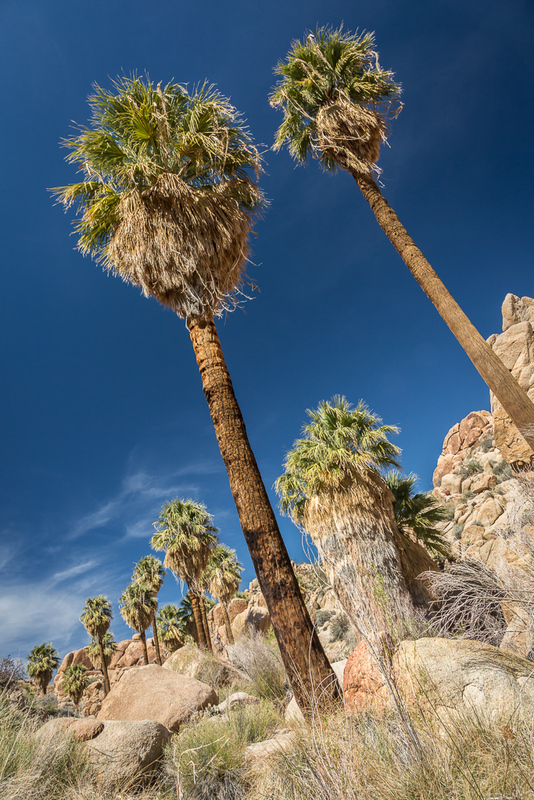 The desert fan palm, seen in several oasis within the park, is the only native palm to California, the palm’s dead leaves stay attached to the trunk unless removed by floods, wind or fire.